Anyone who’s visited Ibiza will know its sheer diversity between its iconic party status and relaxing island life. For me, it’s the latter that I seek each year. According to recent reports, over 7.1 million people visited Ibiza in 2016, so it’s hard to imagine finding any secluded beaches or restaurants that you don’t have to book 3 months in advance, but with this Journal entry, I’m sharing my hidden gems for the iconic white isle. Head to the very north of the island to Cala Xuclar for the smallest yet most beautiful of beaches. The rich azure sea is shallow so incredibly warm and the beach itself is untouched of the commercialism of the more southern beaches. I have spent days at the beach with only 2/3 other couples, but in the heart of summer it can get busier – but only with locals and those in-the-know. 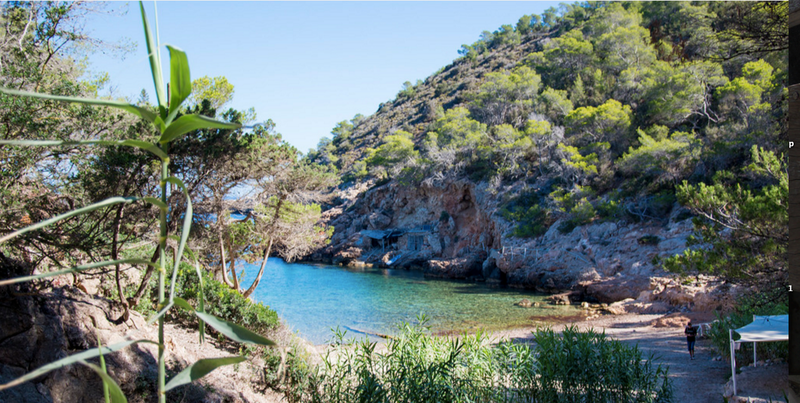 For lunch, there is a tiny 10-seat beach restaurant called Chiringuito Cala Xuclar. What’s on the menu? Well, you just have to wait and see what has been caught fresh that morning. We shot the majority of our SS17 campaign shots on this beach; see if you can spot it in our Look Book! When a friend called and mentioned we had to get back to our hotel because the shopping gypsy truck was coming, I was a little more than intrigued. What ensued was one of the best shopping experiences of my life. 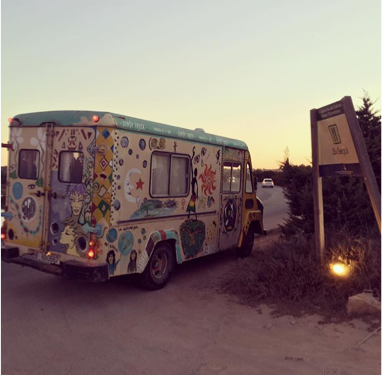 The Gypsy Truck aims to take all the hassle out of beach/ holiday shopping and comes straight to you. Believe it or not, the shop is in the back of a graffiti’d van, manned by THE most gorgeous laid-back owner, Natalie. 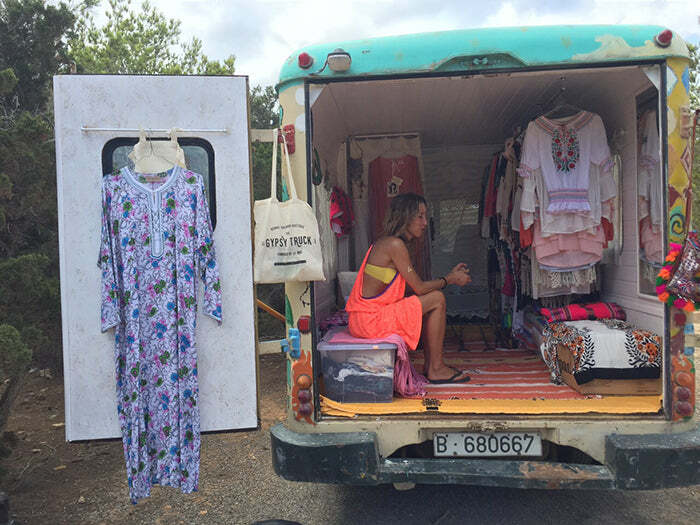 The truck stocks the perfect blend of relaxed bohemian brands including Muzungu Sisters, Pitusa and PAMPELONE of course. 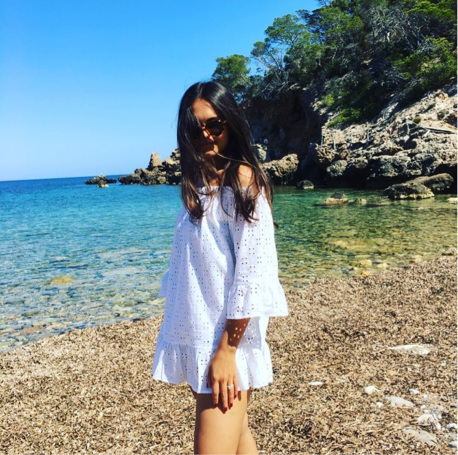 The truck travels across Ibiza & Formentera during the summer months and if you have a group of girls that fancy a look, message Natalie on Instagram to see if she can come to you. 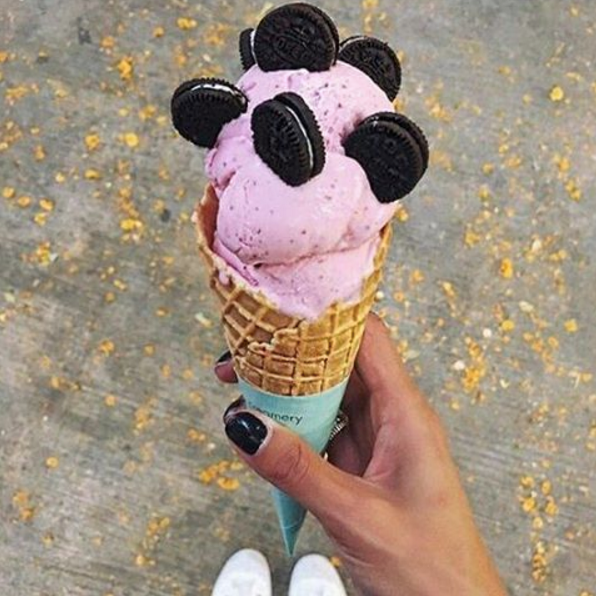 Okay so this may not be so secret, as it’s just been voted Number 1 Ice cream in Ibiza, but it’s sure not as full of tourists as the rest and the Ice cream is 100% home made with love – they even have Vegan options. Created by Vivian Rosberg, the parlour always has the best flavours and is a must-visit when in Ibiza. If you’re lucky enough to be stepping off a yacht, you’ll be well acquainted with Marina Botafoch. If not, it’s the marina located at just a short leisurely stroll from the old-town. Marina Botafoch may be small but it’s there that B LONDON is housed. 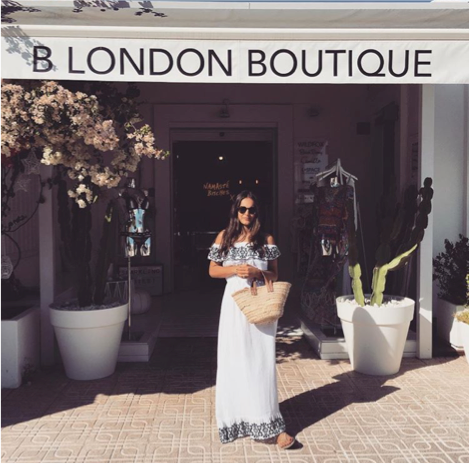 One of our favourite boutiques in London, it opens its seasonal sister-boutique each year and sells only the coolest brands you need for your Ibiza wardrobe. From the sell-out Elizabeth Scarlett Pineapple pouches to your favourite one-teaspoon shorts and naturally the PAMPELONE CLOTHING collection. At just a 30 min hop across on a boat/ ferry, Formentera has become the most popular destination for a day trip when in Ibiza. It’s the much smaller isle which Kate Moss stays on to relax and a destination which boasts crystal clear waters that rival that of the Caribbean…yes, really. 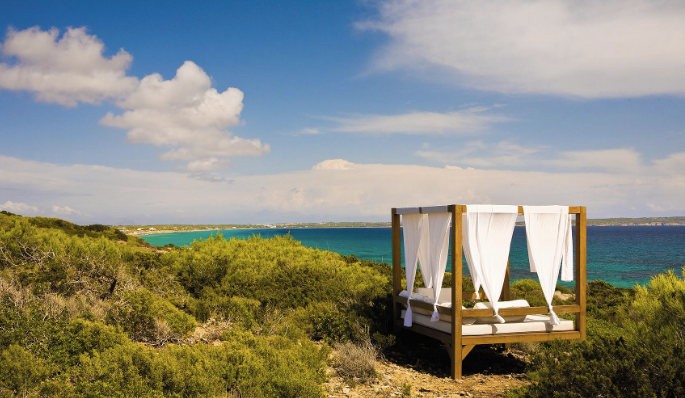 Instead of coming for the day, I would suggest staying on Formentera for a long weekend to fully explore its delights. Being such a small island, you are very limited on where to stay. When I go, I stay with a group of friends at the private residence Es Ram. A former hotel, the estate compromises of numerous 2 bedroomed villas with their own kitchens should you wish to cook. The setting is rural so incredibly quiet, but is also situated on the coastline with the most magnificent views and sunsets. If you come to Formentera for the day on a chartered boat, then you will be lucky enough to cruise around the Island to the most secluded and picturesque of beaches. Should you travel by ferry, you are much more limited. When arriving at the port your only option is to hop on a bus to one of the most popular beaches. One of the most famous beaches on Formentera is Las Illetas – which is for sure one of the most beautiful but my advice would be to avoid at ALL costs. By 1pm, the beauty of the beach is completely dampened by the thousands of tourists that fight for a space to lay their towel. The white soft sand is plagued with hungover party people and the restaurants fill very quickly. My suggestion would be to head for the beach called MIGJORN. It’s a favourite of the locals and relatively small and secluded. The water is some of the clearest on the Island and a firm destination for celebrities who want to escape the masses. Last year, I was on the beach next to Paul Bettany and his beautiful wife Jennifer Connely! For lunch, head a few footsteps to Es Codol, a local Spanish beach restaurant for their incredible squid-ink paella. 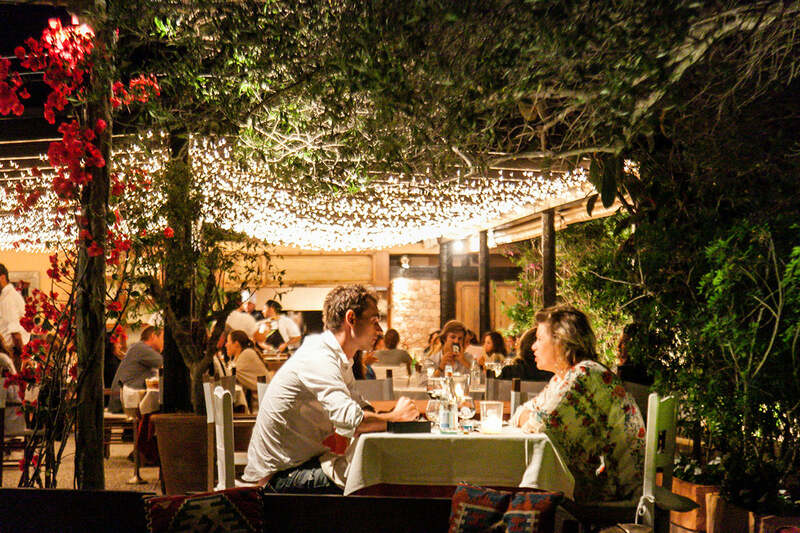 Evening restaurant recommendations are rare for Formentera, simply because most people visit for the day. One of the benefits is that you can sill find unspoiled yet high quality restaurants that you don’t have to book 3 months in advance. My firm favourite is called Can Carlos; a traditional Spanish come Argentinian outdoor restaurant with high quality food and an atmosphere to match. Order the Spianata from the menu – a herb infused thinly sliced meat dish – simply delicious!